Being a busy mom, who once worked a full-time job, I know exactly how it feels to seem like there is not enough time during the day to take care of you! I have always had the passion for training women to help them feel empowered. I have the same struggles that women go through, so my goal is to help them stay in the game, so they can win at this thing called Life. I too struggle to stay balanced with my eating and making sure I exercise, so sharing these experiences allow my clients to know they are not alone. My mission is helping women find empowerment, self-acceptance and self-confidence because they are essential pieces of personal growth. I have been a certified medical exercise specialist & certified personal trainer for 12 years. When Ginger and her family moved to Panther City in summer 2016, her prayers were answered immediately when she found her mentor, Sharon Jackson. Like Sharon, Ginger has a passion for helping women take care of their bodies so they can serve in their homes and community. Ginger’s main focus is to help Sharon carry her message of physical wellness and personal growth in a fun and supportive environment. 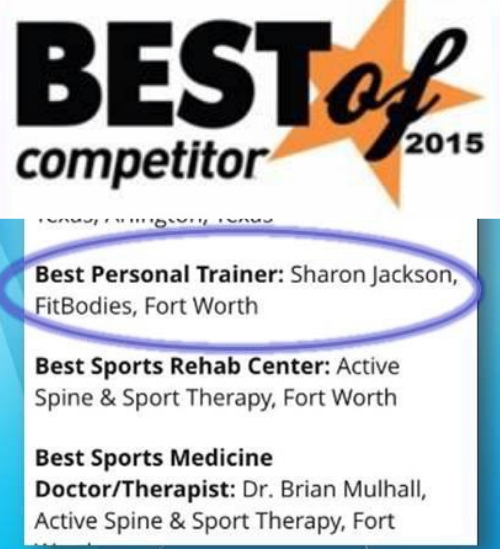 She is also a certified personal trainer through the National Academy of Sports Medicine (NASM). Ginger’s innate competitive spirit and drive to push her physical limits led her to complete both the Boston Marathon and the Austin Half Ironman in 2015. Her love of people and exercise make her well-suited to lead others in their fitness journey.